The NATO strap is more popular than ever. And it’s not strange. The NATO strap is a comfortable, rugged, and fun strap for your watch that can be worn on virtually any occasion. If you wish to go more traditional. just slide the NATO strap from the spring bar and attach a new one in a more modest color. NATO straps are cheap and extremely easy to match with your daily outfit. But what is it that has made them so popular and what is the history behind them? In this article, we’re looking at the history of the NATO strap, because inevitably, it has contributed to making the NATO strap into what it is today. Where does the NATO strap come from? Unsurprisingly, the NATO strap has a military background. But unlike what the name implied, the straps were not made for NATO troops. The strap first debuted in 1973 as a rugged and durable alternative to the more traditional leather and metal straps. 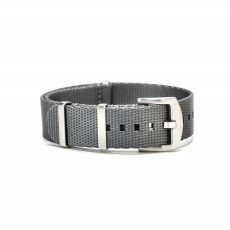 If you have used a NATO strap (guessing you have), you probably know how indestructible they are, and considering the fact that is was originally created for the military, it had to be. The name NATO comes from the shortened version “NATO Stocking Number (NSN)” and has (except for the military connection) very little to do with NATO. 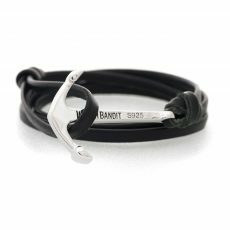 The strap debuted in 1973, as mentioned, but for you as a soldier to get your hands on one, you couldn’t just go online and order a bunch from Watchbandit as you do today. The straps were first introduced in The British Ministry of Defence Standard, and to get a NATO strap, you had to fill out a form and then retrieve your strap from the unit’s store supply. 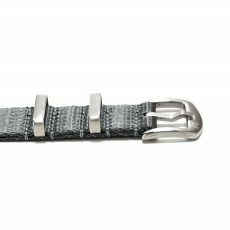 Apart from the NATO strap being a high-quality option instead of other straps, the NATO strap also has one key feature that was extremely valuable back then, and that is equally valuable today: the spring bar lock feature. The Nato strap is attached with two straps on the watch, which means that even if one spring bar breaks, it is still attached to your wrist. If you would have a regular metal bracelet, your watch would fall to the ground like a stone and considering how important watches were in the military for their functionality, losing your watch wasn’t ideal. The lock feature also had one key feature: limiting the distance the case could move on the wrist, thus making it sit properly at all times. When the NATO straps were born, they were only made in 20 mm, and were colored in “Admiralty Grey’”. But as the popularity of the NATOs grew, the different British military regiments soon started producing straps in all the different regimental so people could honor their respective regiment with its regimental colors. Today, the NATO straps are available in a ton of different colors, styles, and patterns, and although a lot has changed since then, the foundation of a NATO strap remains almost unchanged. The elements that define the strap are still here today: the double lock feature, the rugger, high-quality, and the easy to apply the principle. It’s quite amazing if you think about it. The future of the NATO strap? The NATO strap has seen a huge upswing in popularity in the last couple of years, and while some believe that it is just a fad that will lose its popularity, it doesn’t look like it is going away anytime soon. 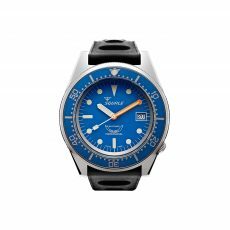 Reputable watchmakers have incorporated NATO straps with their watch models as a tribute to their history, and also to meet their customers’ demand. Brands like Tudor and Omega has either offered high-quality straps to be purchased as an accessory or offering a strap as the watch’s main strap choice. Jens Wirdenius is the editor-in-chief and co-founder of VeloceInternational.com and the influencer directory Veloce Network. He is a social media and marketing nut, sharing his passion for online marketing in his articles.